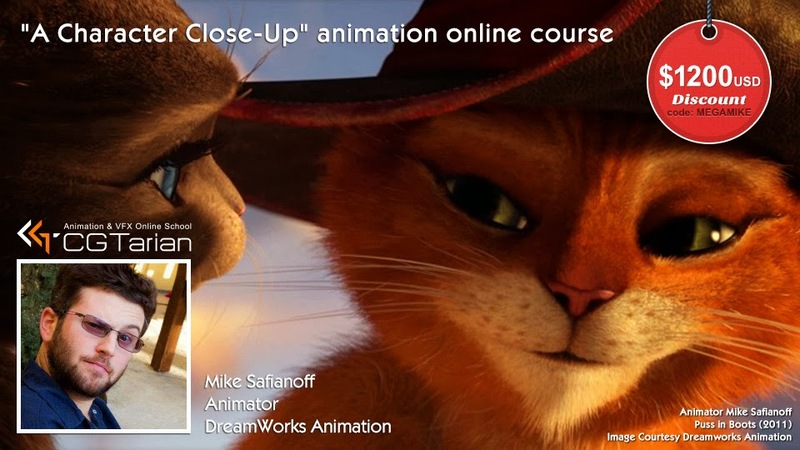 [ #Animation #Training ]CGTarian will host "A Character Close-Up" online course with DreamWorks Animation artist: Mike Safianoff. This course will focus on showing you all the details and relationships in all the parts of our faces and how to properly execute them in your work. They will discuss what is behind a natural facial performance, what to look for in good acting choices, and how to come up with your own. and be doing this in the most heavily scrutinized and detailed way since your performance and polish will have nowhere to hide in a close up of the face! During your registration enter this discount code: MEGAMIKE and get a $ 1200 USD off the course price! Discount works only for March term of that course. There are only 10 seats available! Offer valid till March 15, 2014.